Jordan Kitagawa, a multi-sport athlete from South Delta Secondary School, has participated and excelled in soccer, softball, volleyball, basketball, swimming and triathlon. Arguably, her best sports are soccer and softball; however, she has always brought recognition to Delta at a community, provincial or national level, regardless of the sport. An investigation of her athletic achievements reveals an impressive resume. At the 2008 AAA Girls Soccer Provincial Tournament, won by the South Delta Sun Devils, she was selected as the Provincial Tournament MVP, scoring 6 goals along with 3 assists in 5 games as a forward/midfielder. Also in 2008, she was chosen as the South Delta Secondary School “Outstanding Female Athlete”, as a Grade 11. At present, she is the Co-Captain of the Sun Devils Soccer Team. In the community, she plays club soccer at the Gold level for the Tsawwassen Xtreme as well as women’s soccer for Club Ireland, who were the 2008 Nation’s Cup Finalists, and Surrey United, who were the 2008 Pacific Coast League Semi-Finalists. Jordan’s softball credentials are equally noteworthy. 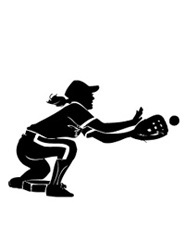 She plays shortstop for the Delta Heat ’91 Club Softball Team, a Provincial Rep “A” participant from 2002-2008. In 2007, she was involved with the Team BC “Top 21 Athletes” program. Academically, Jordan Kitagawa is a 4.0 GPA student athlete, a record which she has sustained since Grade 8. As a direct result of her performance in the classroom and on the soccer playing field, she has been seriously recruited by universities in the United States and Canada. In the United States, North Carolina State, MIT, John’s Hopkins and Seattle University all were interested in her attending their institutions. In Canada, the response was similar, with McGill, Dalhousie, Queens, Toronto, Western Ontario and Victoria expressing interest. In September, she has accepted an offer to attend The University of British Columbia, where she will study the Sciences and play varsity soccer for the Thunderbirds. Jordan also devotes time to volunteer for community efforts such as assisting at various ministry organizations in downtown Vancouver including the Union Gospel Mission, The Great Room Women’s Shelter and Food on the Corner. She has been a coach with Just Sports Children’s Ministry and a Counselor in Training with the Daybreak Point Bible Camp on Anvil Island.